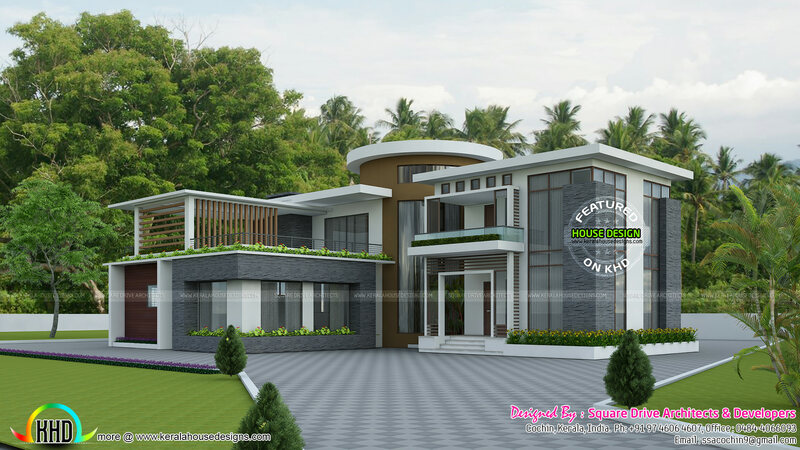 4354 Square Feet (404 Square Meter) (484 Square Yards) 4 bedroom modern house with round roof on center. Design provided by Vinod Pulickal, Square Drive Living Spaces, Cochin, Kerala. 0 comments on "Modern round roof mix house plan"